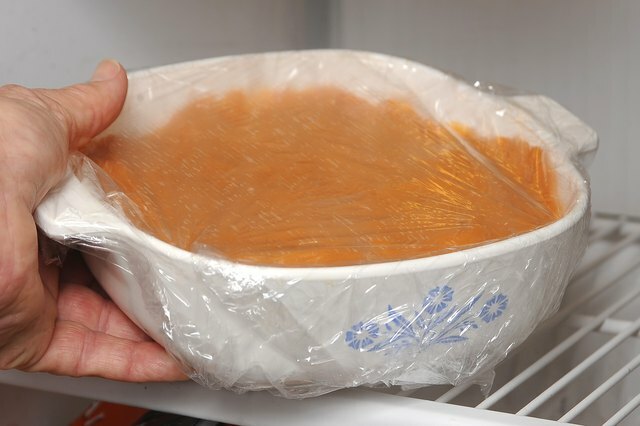 Preparing food adequately for long-term freezer storage preserves the texture and flavor and prevents contamination. Sweet potato casserole is no exception. Eggs, dairy products, spices and sweetened foods can change dramatically when you freeze and thaw them. The eggs and milk that make the fresh dish creamy can become lumpy and unappealing if you do not freeze the casserole properly. And the high sugar content can make it watery. 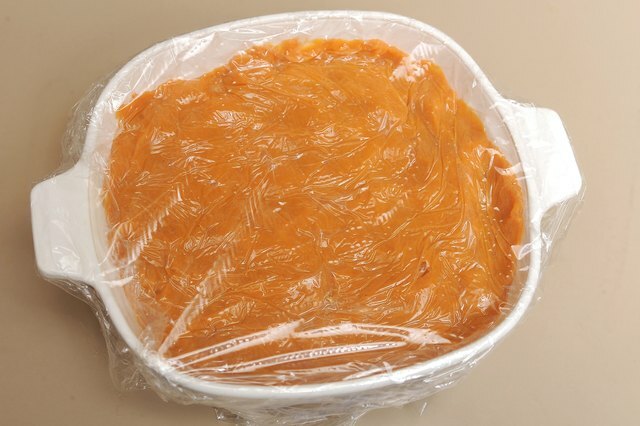 The keys to ensuring the quality and safety of frozen sweet potato casserole are proper packaging and temperature control. 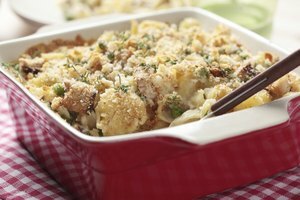 Cook a casserole bound for the big chill without a streusel, crumb or chopped nut topping, which becomes soggy in a freeze-and-thaw cycle. Add the topping when you reheat the casserole to serve at a later date. Do not sprinkle cinnamon or nutmeg on top of the casserole before baking or freezing the dish. Spices can develop a slightly bitter aftertaste in the freezer. 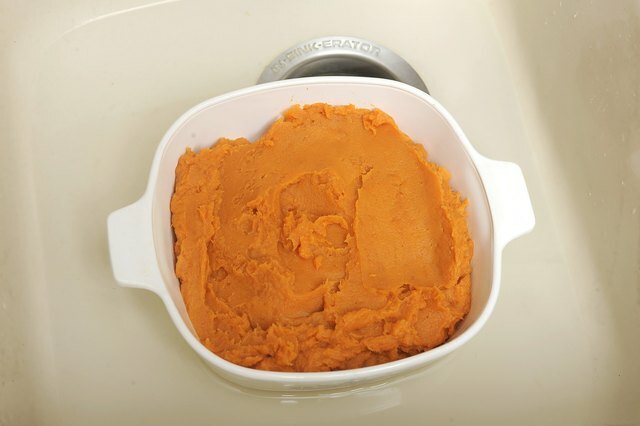 It is fine to incorporate seasonings into the sweet potato mixture before you bake it, however. Foods should be cooled gradually but quickly for safety and freshness. 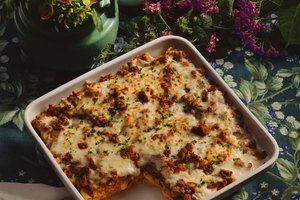 Cool the baked casserole to room temperature before you freeze it. An immediate shift from extreme hot to cold corrupts the textures of milk and cream, making them more prone to lumpiness. Sit the casserole dish in cool water to expedite the process. Change the water periodically to keep the water bath cool. Leave the casserole uncovered so that steam can escape. 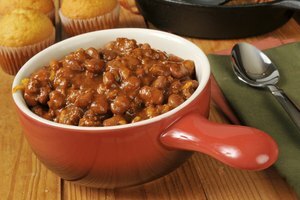 Evaporating steam accumulates under a lid, becomes ice, then melts onto the food when you thaw the casserole, making it soggy. 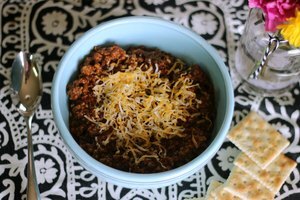 Scoop the cooled casserole into a freezer-safe container if it’s not already in one. 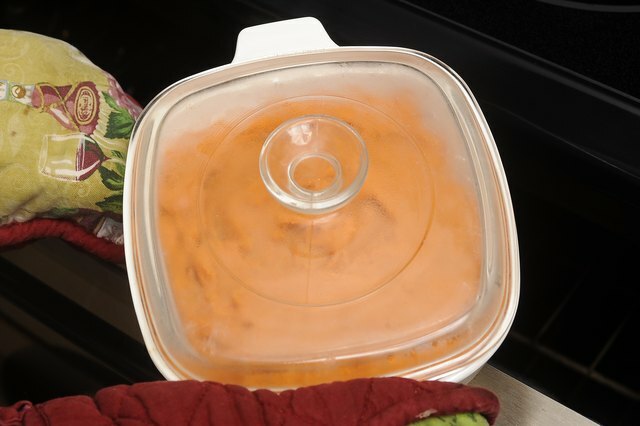 Use moisture/vapor-resistant packaging such as plastic or heavy-duty aluminum foil to shield the casserole from the air in the freezer, which can make food taste stale. Lay a sheet of plastic wrap or aluminum foil directly on the casserole in the dish, then wrap another piece over the top rim of the container. Ice crystals are less likely to form if the covering contacts the food, creating a near-airtight seal. Place a tight-fitting lid on the container, if you have one. Freeze the casserole at or below 0 degree Fahrenheit. The temperature must remain 0 F or lower to keep it safe for later reheating and consumption. Do not place other frozen food on top of the casserole until it is thoroughly frozen, which takes approximately one day. It is best to reheat and serve the casserole within four weeks of freezing it. The flavor of sweet potatoes and the quality of dairy products decline after about one month in the freezer.